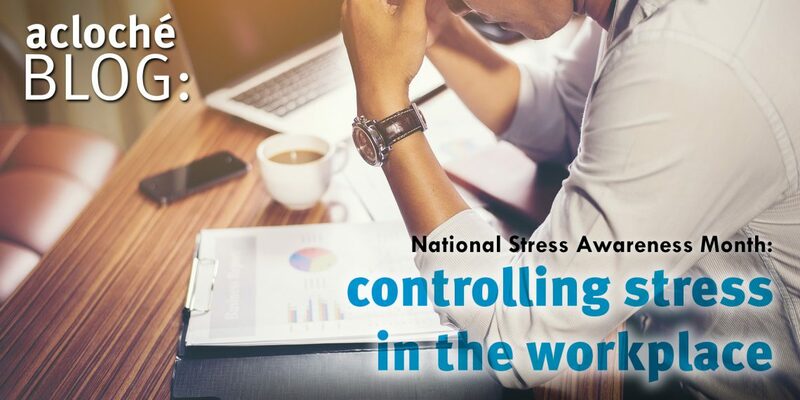 Since 1992, April has been recognized as Stress Awareness Month in order to raise awareness on the causes and effects of stress, as well as techniques to relieve it. Stress not only affects your mental health, it can also have an effect on your physical well-being. Long-term stress has the potential to cause a variety of health afflictions, like headaches and stomach issues, and can increase the risk for serious conditions, like heart attacks and strokes. We have the tendency to think we can handle more than we actually can, especially in the workplace, where declining a project or task can be a stressor in itself. However, it’s important to know your limits. Often times your colleagues aren’t really aware of your current workload and are understanding if you simply cannot complete a new task in a given amount of time. Use every tool at your disposal! No matter what email platform your company is running, or what your day-to-day job activities look like, there are bound to be dozens of programs, features, or apps that are designed to help you manage your work. If you are unsure of where to start, seek a colleague that seems to make use of organizational tools and ask them for advice. In addition to the digital world, it’s important to keep your physical workspace tidy as well. Here’s a tip: next time you’re feeling stressed out and hitting a wall on the task at hand, take 15 minutes to stand up and organize your desk or workspace. That kind of physical, mindless work is a perfect little stress-relief and doubles as a productive activity. Relaxation is key in diminishing stress, but it can be hard with a full schedule. Make sure to block out time to cater to yourself. Allowing yourself to have a quick breather can redirect your energy and keep you from reaching your boiling point. Most workplaces have made great strides in removing the stigmas related to mental health, and now have a better understanding of the importance it has. A large portion of the American workforce is contained mostly to an office or cubicle during the workday. While not ideal, that’s the world we live in—it’s important to counteract that sedentary lifestyle with proper diet and exercise. Little things like taking the stairs or walking the long way to your desk can add up and help clear your mind. Being in poor physical health is correlated with an increased risk of mental health disorders, so do your best to maintain a healthier lifestyle! Be sure not to withhold things that are on your mind, in the workplace or otherwise. Share your ideas, feelings, and emotions with others! It can be therapeutic to get things off your chest. Many people become nervous at the thought of their ideas or suggestions being rejected—but keeping yourself pent up mentally can be a huge stressor. Dealing with stress, and mental health in general, can be tricky. Find what techniques work for you and continue to include them in your everyday life. When it comes to stress, your work life and your personal life become easily intertwined, which can be detrimental to both. It’s important to try your best to keep that in check!